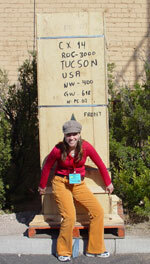 The Tucson Gem Shows- 2008! 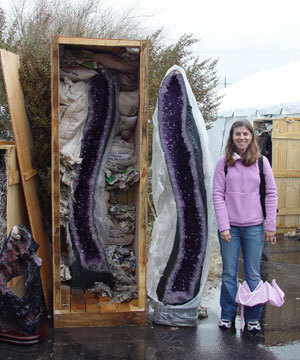 I'm heading to the big Tucson gem shows from Feb. 1- 10. If there is something you can't live without, please let me know to add it to my 'hunting' list! If there is something on your 'wish list' I should be looking for, please let me know! Same amethyst geodes purchased and packed up for shipping. You can buy small gems to large mineral specimens! !